12V 6.6 amp switching power supply in stock (12Volt 6.6A AC/DC adapter). 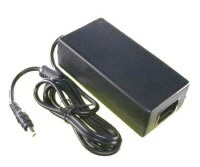 This hard-to-find inexpensive 12 volt AC/DC switching power supply adapter is useful for applications requiring 12 volts at 6.6 amps or less. In stock in Utah. 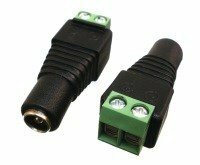 Input Connector Removable IEC C8 connector makes it easy to use international mains wire cords, the North American cord is included. Model : PST-AC1266 Name : 12V DC Switching Power Supply. Inexpensive switchmode AC switching power supply AC/ DC converter. Efficiency >85%, depending on input voltage, and output power.